Make your own mini succulent gardens for almost nothing! You can pretty much use anything that will hold dirt: Vintage silver platters, pedestals, Japanese Tea cups, brass bowls and even ashtrays. In second-hand shops, there are always tons of silver and ceramic pieces just waiting to be transformed into mini succulent gardens! So the next time you are thrifting at your favorite second-hand shop, check out the housewares and kitchen section you may just find the perfect piece! It is so relaxing and satisfying to create these mini succulent gardens and they make perfect hostess gifts and housewarming gifts for friends! Soil, you can buy a bag or just use whats in your garden. Tip: Succulents and cacti thrive in well draining, porous soils. Gravel or expanded shale can be added to the bottom of the container to help increase drainage. A basic, sandy potting soil mixed with vermiculite makes a great succulent mix! … If your container does not have a drainage hole, you will need to water less. Clean and lay out your containers and fill all with your soil. Lay out your succulent cuttings and and space out your succulents into arrangements that you love. I really love the look of using a few beach stones mixed into the planter below. Don’t you just love the detailing on this vintage silver tray? In this mini garden I used ‘Chicks and Hens’ that were growing wild in the garden. Using a few small Japanese teacups together creates an adorable little vignette on a bookshelf or window sill! Here are a couple more teacups that look great with the mini Jades! Love the deep blues and fresh greens together. Adding little ceramic animal , like the mini elephant, makes a sweet little planter. They always have these kind of knick knacks in thrift shops. Now there is a reason to buy them! With pedestals or vases you can add in one large succulent for a more dramatic looking planter. Experiment with different heights of succulents for eye-catching planters. Here I used a bit of wood on top of the soil for decoration. Now you don’t have to spend $$ buying fancy succulents anymore. You can make your own beautiful succulent gardens that are much more beautiful and personalized! I’d love to hear you comments on how your own mini gardens turned out! P.s Several people have asked about my black and white rug in the photos it’s a 5 x 8 Moroccan shag with black diamonds you can find it nuLOOM Traditional Vintage Abstract Waterfall Area Rugs “>here. Ah amazing! I never thought to make them myself and i didn’t know you could buy live cuttings online! I have seen similar mixed succulent planters before in a trendy flower shop in the East Village and they were like $80 a Pop and just made of cement! I love that you used Silver! I have some old silver from my grandmother wrapped away in a box. this will be a nice project to display them in a modern way! Thanks for posting! 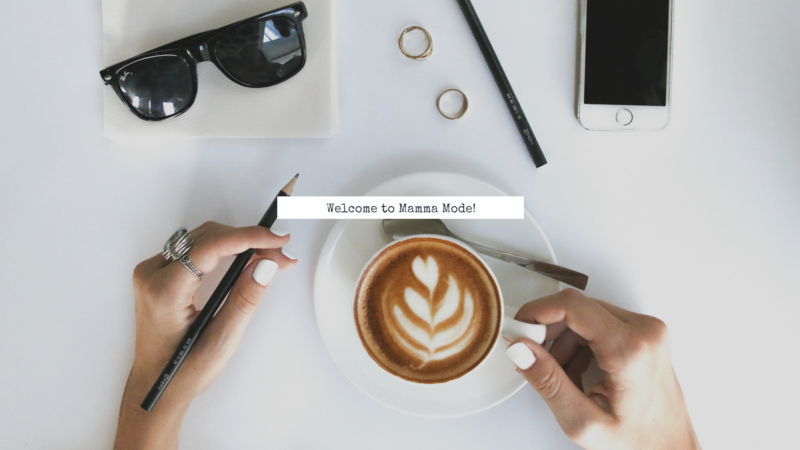 Welcome to Mamma Mode a Life + Style blog that serves as a resource for the modern Mamma! 5 Things you Forgot to Provide…That Annoy your Airbnb Guests! How to Take your Airbnb to a 5 Star Level in 2019!